Cheating in sport through misuse of human growth hormone has just become more difficult thanks in large part to researchers at the University of Southampton. The GH-2004 study team in the University's School of Medicine, has shown that a test to detect human growth hormone misuse is effective in athletes of different ethnic backgrounds, making it suitable for international use. They presented their findings to Sports Minister Richard Caborn at the Wellcome Trust Clinical Research Facility at Southampton General Hospital this week. Human growth hormone (hGH) is a naturally occurring hormone, the effects of which include an increase in lean body mass and a decrease in fat mass. Its use is banned by the World Anti-Doping Agency (WADA). A test for hGH was introduced on a limited scale in 2004 but these latest findings mean that a new test can now be implemented more widely in the international arena. The detection of administered hGH poses a formidable challenge, as it is identical to that which is produced naturally in the body. Methods for detecting the abuse of synthetic anabolic steroids and related substances are highly sophisticated but these are not applicable to growth hormone. After many years of determined research the development of reliable tests for growth hormone is now reaching the final stage. The previous GH-2000 project showed that a test based on GH-dependent markers was feasible in white Europeans. The latest results from the GH-2004 team based at the University of Southampton has now shown that these markers are no different in athletes of a wide variety of ethnic backgrounds and therefore the test is suitable for use in the international sports arena. "This breakthrough demonstrates the importance of applied research and the UK's commitment and contribution to the fight against drug abuse in sport," commented Dr Richard Holt of the University's School of Medicine, who leads the research with Professor Peter Sönksen. "Although some further work is required before the test can be fully implemented, we look forward to the test being in use for future Olympics, and being used in London in 2012, should the British Olympic bid be successful." Sports Minister Richard Caborn, who is a board member of WADA, said: "Rooting out drug cheats is one of the biggest challenges facing sport today. I believe science is one of our biggest weapons in this fight. I'm greatly impressed by the work the University of Southampton has done to help identify athletes misusing human growth hormones and this test will be a vital tool in the battle to keep sport clean." The GH-2004 team is based in the Endocrinology and Metabolism sub-division of the School of Medicine. The research is supported by grants from the World Anti-Doping Agency and US Anti-Doping Agency. 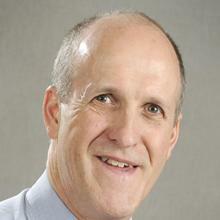 Professor Richard Holt is Professor in Diabetes and Endocrinology within Medicine at the University of Southampton.